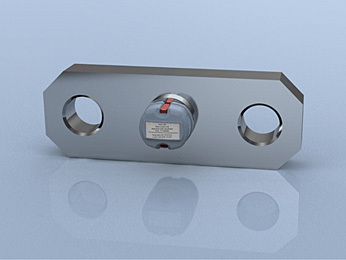 After working closely with industry and users, load cell designer and manufacturer LCM Systems has announced the launch of their new WLL range of wireless load monitoring links, designed primarily for marine and offshore applications. Incorporating many new features, these stainless steel load links feature IP67 environmental sealing, 3.1b material certification, and a robust storage case supplied as standard. Also, having taken into account the short delivery times users of this type of load measuring equipment typically demand, all load ratings are ex-stock ready for immediate despatch. Because these load links will be used in challenging and exposed environments, the design team at LCM Systems have utilised their unique telemetry housing that is robust enough to withstand day to day operational requirements, does not degrade in sunlight, yet is compact and light. The antenna is completely enclosed within the housing to protected it from damage, while two clips enable you to open the housing to access and change the batteries without the need for any tools, leaving the electronics safely sealed underneath. The load links have a transmission distance of 600 metres (clear line of sight) and are capable of more than 300 hours’ continuous use with AAA 1.2 Ah batteries.